Are you looking for modern baby gifts for a new or expecting parent? Baby Noomie offers an extensive selection of baby gift sets online. Each gift set includes modern baby gifts, such as stylish footies, cozy hats, and much more. 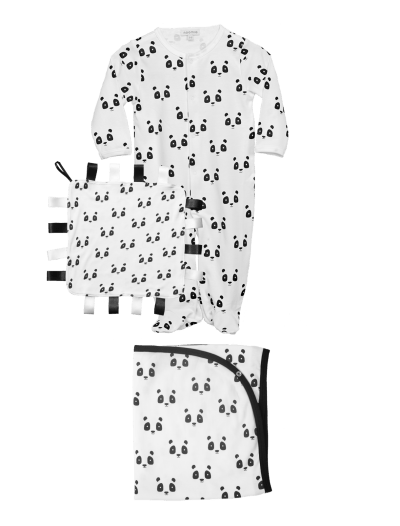 Our clothing and matching accessories come in a wide range of prints and colors, so you can easily choose the set that best suits the new baby. From bunnies and pandas to flowers and clouds, you’re guaranteed to have the perfect gift. 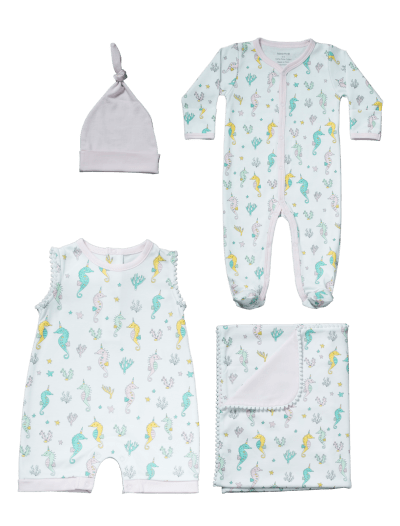 If you’re searching for baby gift sets online, choose Baby Noomie for exceptional Pima cotton clothing and accessories.